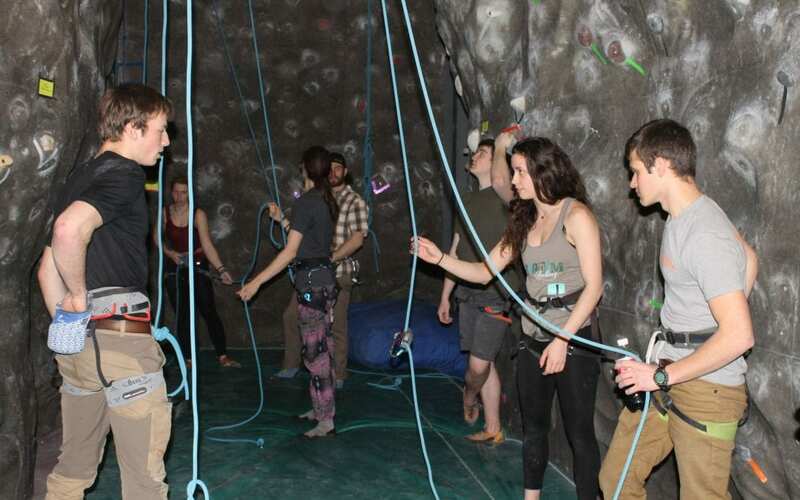 On March 14th, the PSC Outing Program hosted an on-campus Rock Climbing competition for students. Over a dozen students competed in both Bouldering and Sport climbing over the course of 3 hours. Competitors had an unlimited amount of attempts to complete boulder routes, and only 3 attempts per each sport route. Points were earned based on different “checkpoints” that climbers reached along each route. At the end of the night, Hunter Taylor took first place, Andrew Ingersoll took second, and Jordan Colon placed third. All competitors received prizes donated by local businesses such as High Peak’s Cyclery and Eastern Mountain Sports. The Outing Program and the Rock Climbing team try to host an on-campus competition every year, so keep your eyes out for next year’s event!